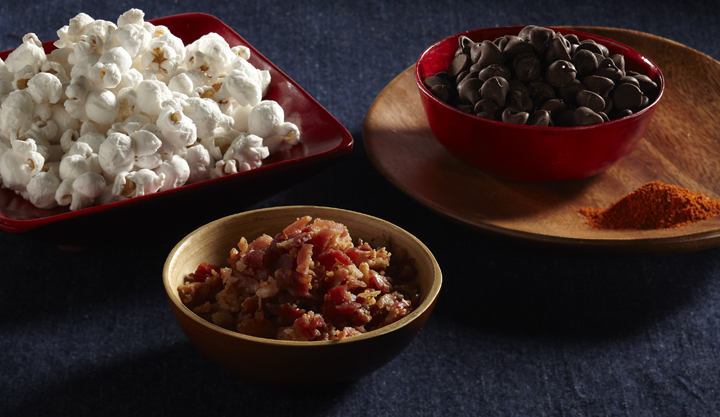 Fresh popped popcorn is always a good snack or dinner. 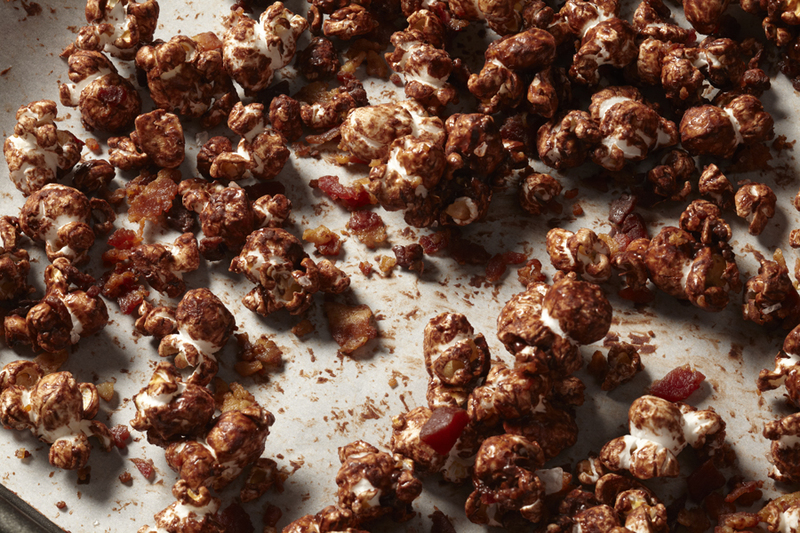 I had a roommate in college who used to make peanut butter popcorn, ooo that was good. Till she went on a diet and we didn’t have much peanut butter popcorn after that. 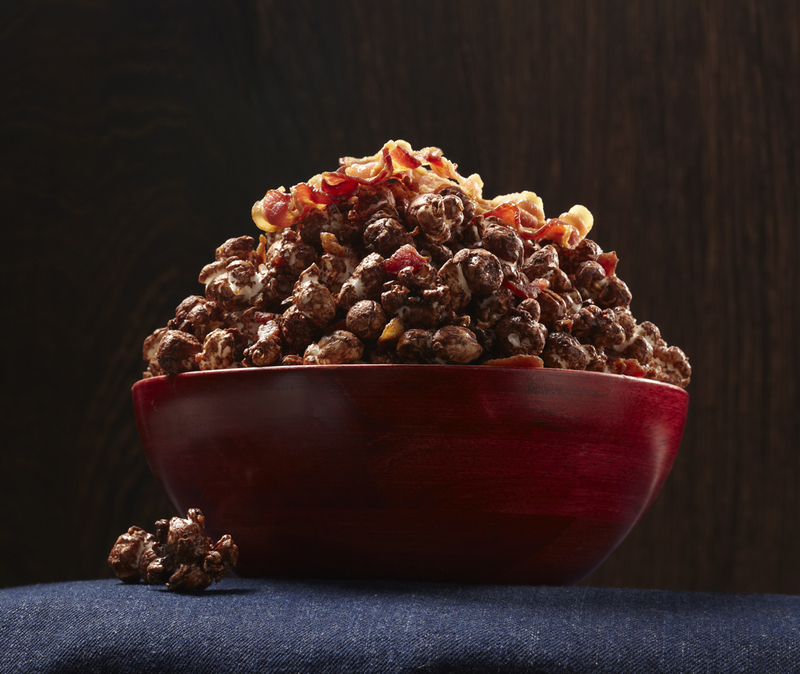 This recipe is in honor of the good old days, before the freshmen 10 lbs; that still won’t go away. 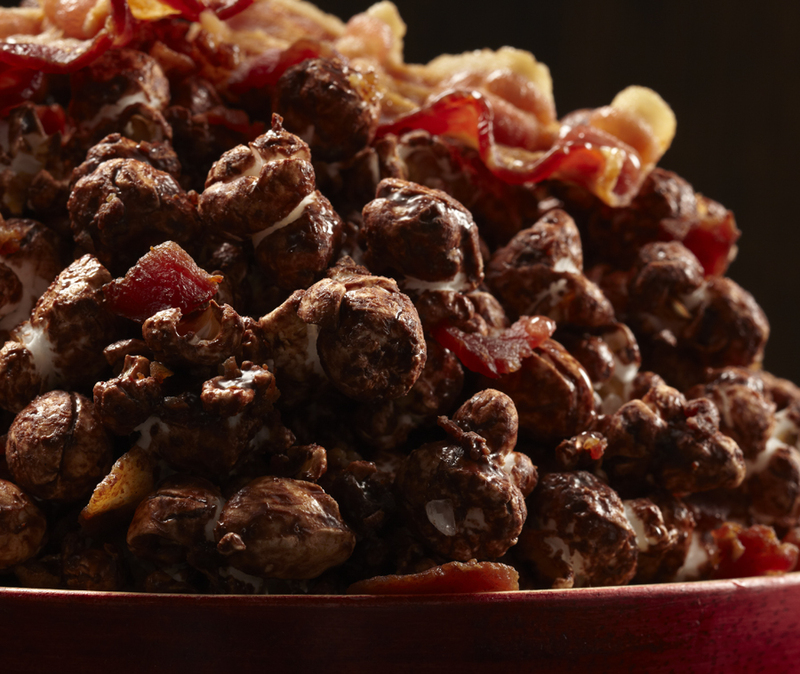 What could be better than chocolate and bacon on your favorite snack. 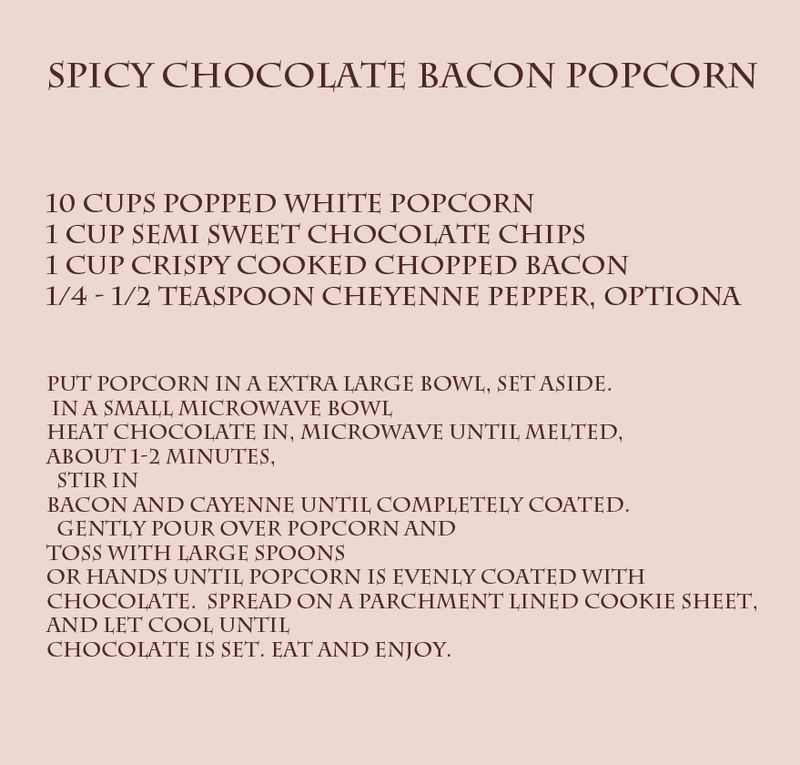 I think this recipe is worthy a try if you like to experiment with your popcorn.